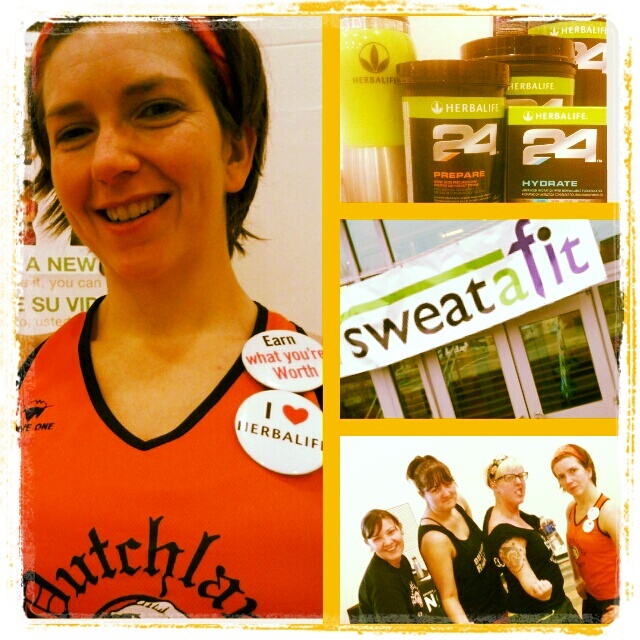 What is a Sweat-A-Fit? It is a fundraiser by LETSMOVE and the only thing they do is organize this event and it’s nine hours of working out. This year, at Millersville University there was a Zumba room, a Yoga room and a Spin room. Then I realized that it meant that I did five classes. 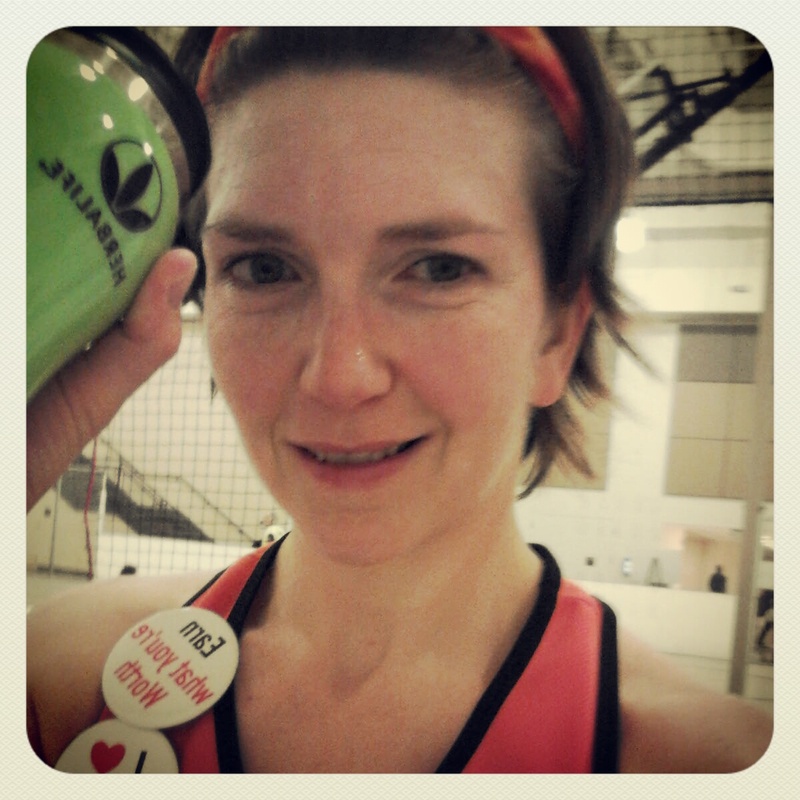 According to iChange, the four 45 minute classes of Zumba and the 40 minute Spin class I did burned 1900+ calories. 1900 calories. NINETEEN HUNDRED CALORIES. We had techno, but it was Florence and the Machine. 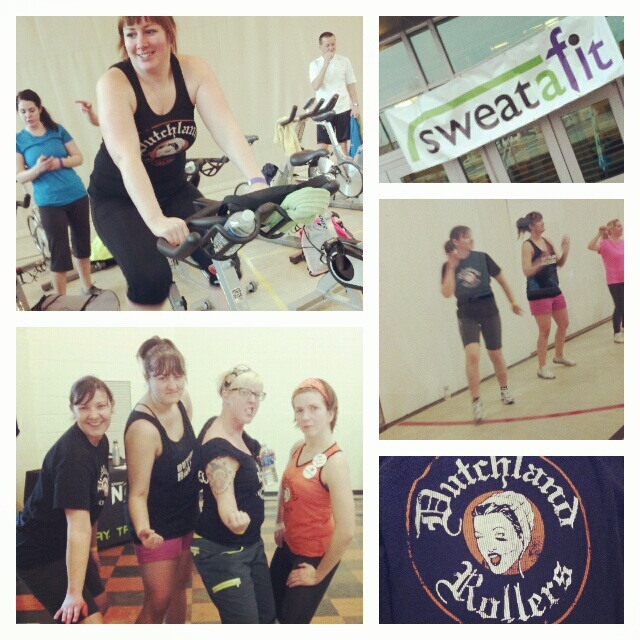 We pedaled, but there was ab work and other interesting workouts. Also, he was into the personal development side of things so he kept talking about the spiritual connection to working out. It helped me push through the burning of my quads (still not recovered from rock climbing – WHICH WAS AMAZING) and the general underdevelopment of my biking muscles. PS I’m sorry if this blog hops around a little bit. I don’t know who I even am right now I’m so spent!! 1900 CALORIES. ON 5 HOURS OF SLEEP. So … The point of this blog is that … you can push through it. I don’t know how I did. The mental part of working out can be so much harder than the physical. The physical was tough, don’t get me wrong! It burned. My knee kept buckling. 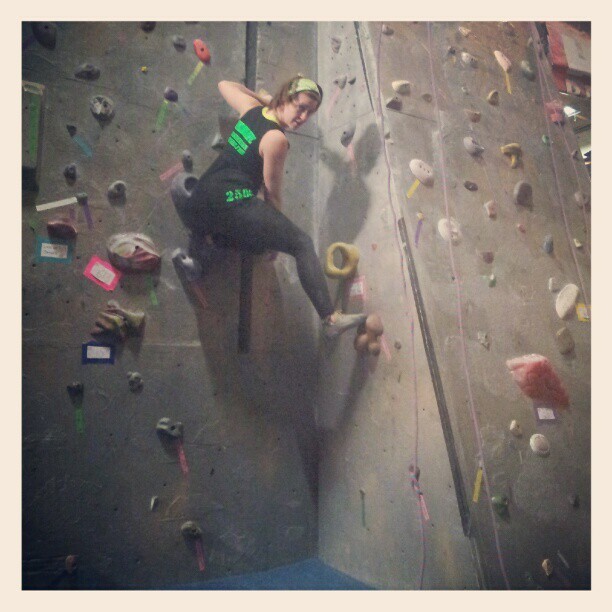 My arms were tight from climbing. I found that my synapses weren’t firing and I’d have to refocus to get the most out of each class. Zumba was crazy fun! Very intimidating at first, but AMAZING when you shut off your inhibitions and just DO IT. SPENT! But I have my tea. So turn off your fear. Turn off the pain. Pain is something that you brain creates to fool you into stopping. Don’t be fooled. Prove your mind wrong. Show that you are stronger than your situation. You can rest later. Later you can sit in your comfy chair with your chamomile tea with a happy tummy full of kale and broccoli and fish knowing that you left it all on the floor. You can rest later; happy that when the last beat dropped, you had nothing left to give – and if you had anything left to give, you went to another class. I would not recommend doing three hours and forty-five minutes of working out all the time. Once a week? Sure! I think that would be a great thing for me to start doing. I imagine this is what people feel like post-marathon. And since I’m running a half in April – I may want to start training for it! PS I didn’t get a chance to write about my climbing adventure, but know that it was amazing. I cannot wait to go back. And I will be. Often.